Based on her past experiences, Ms Tjin Lee pushes for every business to have combinations of people – angel investors, business managers and creatives. I get some of my best ideas late at night and often find the need to call someone to tell him about it, no matter the time. But that’s the thing about dreaming big – if you’re able to turn what you love into what you do, then your job no longer feels like work. 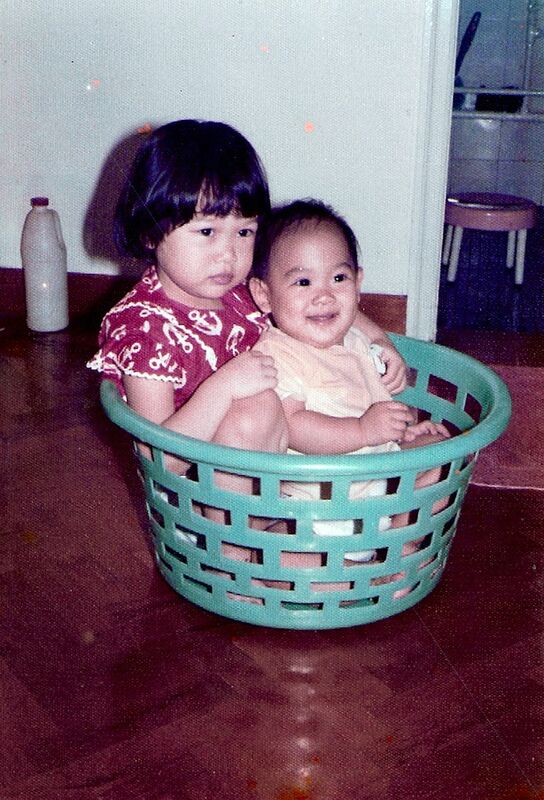 Ms Tjin Lee, aged one, with her sister, Dr Lee Huei Yen, who is two years older than her. 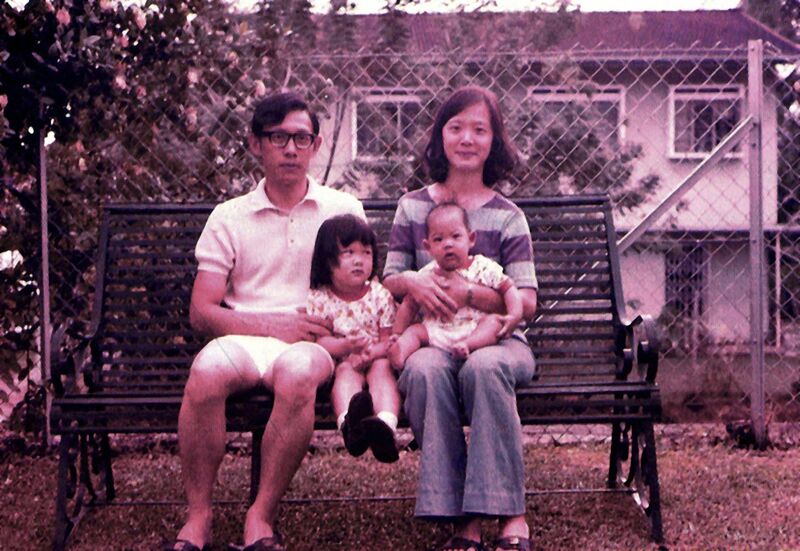 Ms Lee (middle) with her parents, older sister Dr Lee Huei Yen and youngest sister Lee Huei Sheen. 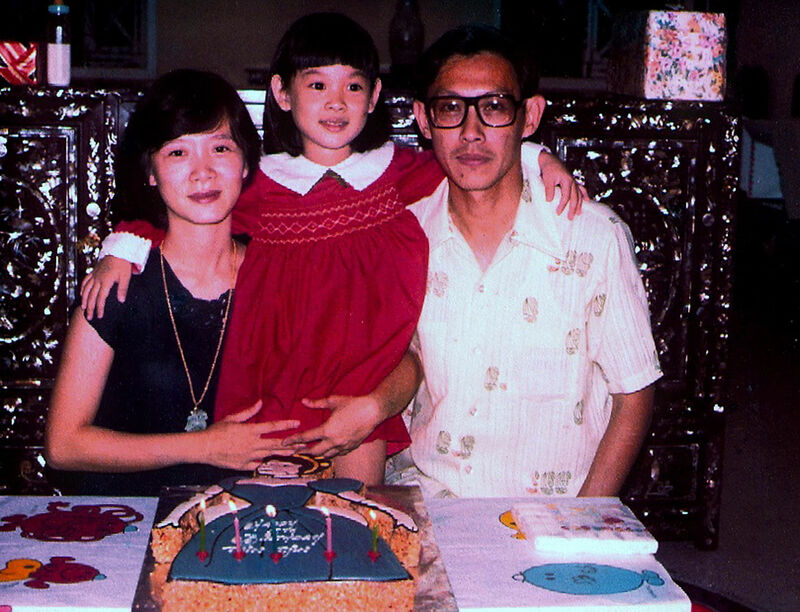 Ms Lee with her parents and older sister, Dr Lee Huei Yen. 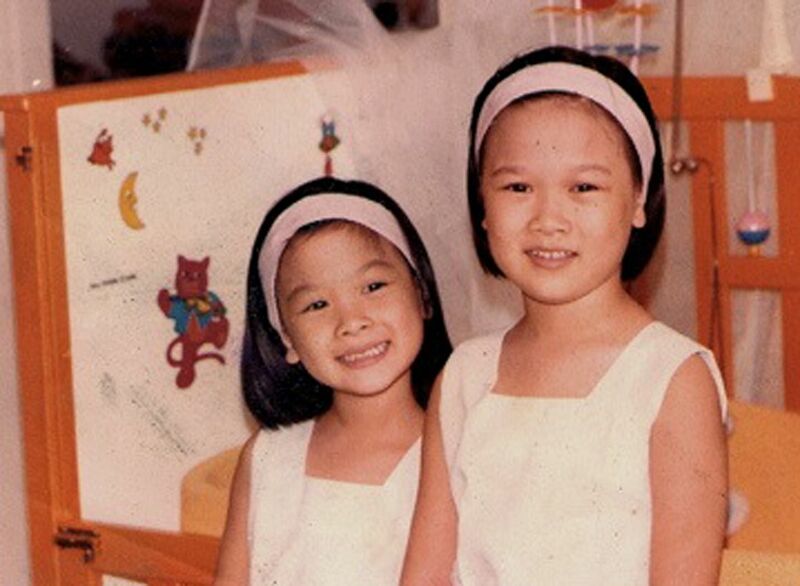 Ms Lee and her older sister Dr Lee Huei Yen. 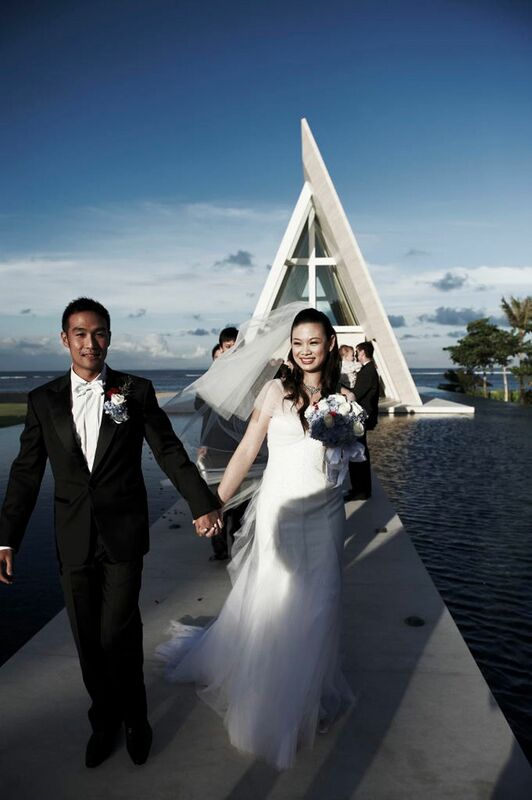 Ms Lee with her husband John Lim on their wedding day held in Bali in 2008. 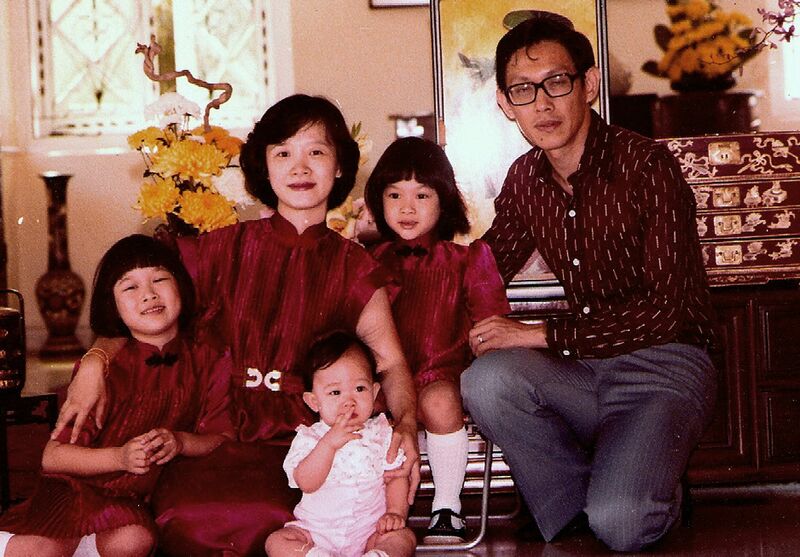 "We were mum's failed experi- ments when it came to musical talent," Ms Lee says with a smile. "Turns out the secret is starting them in music as early as 2½ years old." Her lack of savings at the time did not help, either. “Unlike my peers who were buying homes and cars, I was blowing my entire paycheck on designer clothes and bags, with no assets to call my own,” she recalls. But she did have an asset – her junior membership at the Singapore Island Country Club, which she sold to start Mercury in 2000 with two ex-Club 21 colleagues, each of them pumping in $10,000 to launch the business. She rolled up her sleeves and, with two assistants, worked herself to the bone – starting every day at 8am and not hitting the sack till the wee hours of the morning. When the festival started, a rollercoaster of emotions swept over her – veering from exhilaration while watching the steel beams for the tents go up at 2am to sheer panic as the tents began to leak with rainwater mere hours before Chanel’s opening show. “I remember sitting in the tents and crying alongside the skies for a good five minutes before pulling myself together and getting back to work,” she says. “I was really allergic to spreadsheets and numbers so I couldn’t see where I was going wrong, even though on paper I was running such a successful business,” she says. “He proposed that I sell him half my business with a promise that he would quadruple my profits in five years,” she says. So much so that when the Singapore Tourism Board decided to can the fashion festival in 2009, she was able to garner enough support to hold the Audi Fashion Festival – Singapore’s first privately funded consumer fashion event. Her success in managing the ongoing festival, which ran from 2009 to 2014 with Audi as the title sponsor, helped the company nab clients such as Chopard, Tiffany and Co and Cartier. Over the years, the festival has seen the likes of Carolina Herrera and Roberto Cavalli bringing collections to Singapore – in turn thrusting local designers such as Ong Shanmugam and Dzojchen into the international spotlight. While Singapore Fashion Week will always be the feather in Mercury’s cap, Ms Lee’s lifestyle and business incubator CRIB, which she started last year with three close friends, is her proudest achievement to date. “I realised after having my first child how difficult it can be for women and stay-at-home mums to get back into the workforce or have that work-life balance you can get as an entrepreneur,” she says, admitting that she never saw herself as the maternal sort until she had her son. She has also created a proprietary model based on her past experiences – pushing for every business to have combinations of A, B and C kinds of people – otherwise known as angel investors, business managersand creatives. “I learnt that lesson the hard way by starting Mercury with two other creatives. Without a business mind or solid investor, it was always going to be a recipe for disaster,” she says. CRIB co-founder Marilyn Lum, 34, a lecturer and curriculum planner for a hospitality and management school, says she could not help but be inspired for Ms Lee’s vision for the outfit. “I remember watching Tjin speak to some of our members and seeing the impact her advice had on them. That’s the amazing thing about her. She manages to stay grounded and relatable despite the successes she’s achieved,” she says of her friend. “I’ve learnt that while dreaming is important and has brought me to where Iam today, it’s not enough to just dream big,” she says.